especially if you have an impressive portfolio. by Nate Sherman and Nick Vokey. (Barely NSFW due to language)"
"Americans observed Gun Violence Awareness Day on Thursday by participating in the Wear Orange movement. What started as a local movement in the South Side of Chicago has turned into a national movement. The hashtag #WearOrange can be seen all over Twitter and Facebook." dies aged 74 after suffering from respiratory illness." "The Tesla CEO has proclaimed that autonomous driving is a ‘solved problem’ but tech and executives in recent years have tempered their expectations." "The creators of The Sims are allowing users to customise their characters' gender for the first time." "The British drink more than 60 billion cups of tea a year – so what is it about this humble brew that refreshes them so?" "Almost exactly two years ago, Iraq's second biggest city, Mosul, was overrun by the forces of so-called Islamic State (IS). But since then, the city's university, has remained open most of the time..."
a descendent of slavery or those who came to our nation seeking a better life. – America’s strength is reflected in our diversity built over generations..."
who have died during perilous sea crossings to Europe." and now are some of the highlights at the National Museum of Wildlife Art in Jackson, Wyoming. A series of exhibitions celebrates a range of arts focused on the anniversary of the national parks, running now until 28 August." "Exclusive: Guardian investigation reveals testing regimes similar to that of Flint were in place in major cities including Chicago, Boston and Philadelphia. + 33 US cities violated EPA guidelines." "Eric Schneiderman says presumptive Republican nominee ‘bilked people’ and that his prosecution team has video evidence of fraudulent statements." "was an American for-profit education company that ran a real estate training program from 2005 until at least 2010. After multiple lawsuits, it is now defunct. It was founded by Donald Trump and his associates, Michael Sexton and Jonathan Spitalny, in 2004.
charging fees ranging from $1,500 to $35,000 per course...."
"is a South African-born Canadian-American business magnate, engineer, and investor. making him the 68th wealthiest person in the US." from Kazakhstan in December 2015..."
to unveil posters in support of keeping Britain in the EU..."
"Britain goes to the polls on 23 June to decide whether to leave the European Union. How much do you know about the different members of the EU? Take our quizzical tour of the 28 member states." "Police in the US state of Ohio are going to look into the shooting of a 17-year-old gorilla at Cincinnati Zoo. They will investigate the facts around the killing of Harambe the gorilla." "A police investigation into the killing of a gorilla at Cincinnati Zoo after a three-year-old fell into an enclosure will focus on the boy's parents." "Harambe was an endangered western lowland gorilla." 1. First, click on the picture, and explore the map. "Switzerland has opened the world’s longest and deepest railway tunnel, 17 years after starting work on the project. The Gotthard Railway Tunnel is 57 kilometers long. Trains passing through it will be about 2.3 kilometers underground at the deepest point. The tunnel cost $12 billion to build." "The Global Slavery Index says 58 percent of those working in “modern slavery” are living in five Asian nations. 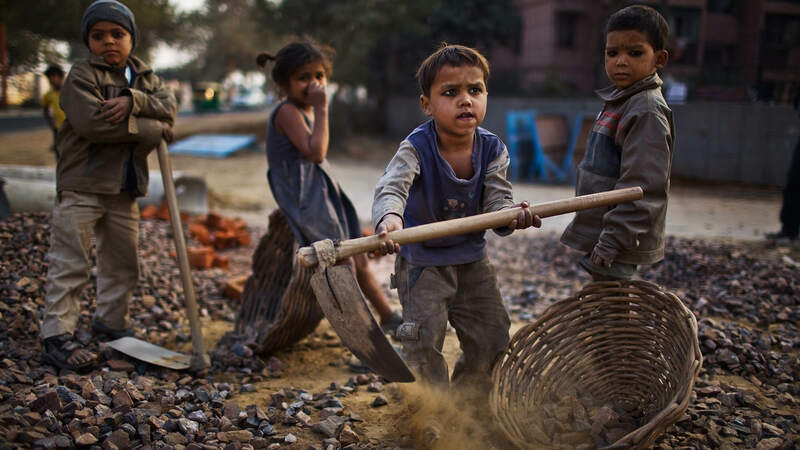 The report, by an Australian research group, looks at forms of slavery around the world." "315 years. 20,528 voyages. Millions of lives." "Explore the 350-year history of the transcontinental trade." LECTURE CURSIVE : Premier chapitre de Charlie and the Chocolate Factory. Un exemple de lecture possible du premier chapitre du roman de Dahl. Travail créé par Cyril Dussuchaud (Ac. Limoges) avec M. P.
et analyse d'un monde de plus en plus fermé. Elisabeth Vallet identifie quatre principaux problèmes, paradoxes ou apories, causés par les murs..."
"Check out Shakespeare's Romeo and Juliet Video SparkNote: Quick and easy synopsis of the Shakespeare play, Romeo and Juliet. — the kind of English people actually speak today." "Officials in Thailand found 40 dead tiger cubs at a Buddhist temple accused of animal abuse. The cubs were discovered in a freezer while authorities were removing dozens of mostly full-grown live tigers from the temple grounds. Wildlife groups say the animals were illegally bred and poorly treated." "at a Thai Buddhist temple accused of wildlife trafficking and animal abuse." "A survey has found 42% of US men rated themselves as ‘completely masculine’ as against 28% in the UK. But does anyone know what ‘masculine’ means today?" "The Taj Mahal is one of the most famous places in the world for people to visit while traveling in India. Now pollution is causing insects to damage the beautiful building. Some say there is a simple answer to this problem but the government needs to do more." "Poor air quality causes many diseases in the world’s poorest cities. And it is getting worse. The most affected are the people living in the poorest cities in the world." "NASA has successfully inflated a new, experimental room at the ISS for crew members to use in space." refugee agency, or UNHCR. There are also reports of several hundred families being used as human shields by Islamic State militants." "Tigers are being removed from the grounds of a temple in Thailand after reports of poor treatment. The temple said the tigers were treated well, but wildlife groups said some were kept tied in chains and had become sick. The captured animals will be sent to three wildlife areas in Thailand." Animals rights groups accused the temple of being involved in the black-market animal trade." Thailand is a hub of the international black market for protected animals and wildlife parts, often used for traditional East Asian medicines." "Report predicts number of overweight under-fives worldwide will reach 70 million by 2025." "Annual survey of drug use finds MDMA is back in the mainstream due to ‘creative and aggressive marketing’ and rise in purity." "On 23 June Britain will decide by a referendum whether it will remain in the European Union or if it will leave – the so-called Brexit option. The opinion polls show the race is a close one as the national debate gets louder and louder. But what does it all mean?" in conjunction with four of the world’s biggest internet companies." "Those countries shown in darker colours smoke the most; those in lighter ones the least." "Up to 700 migrants are believed to have died in the past week crossing the Mediterranean Sea, the United Nations said Tuesday. At least three boats sank in the biggest death toll for migrants in more than a year. Thousands of others were rescued." the UN has said, a sharp jump from the same period last year. At the same time about 204,000 migrants and refugees have crossed the Mediterranean since January, a figure that has also climbed acutely."